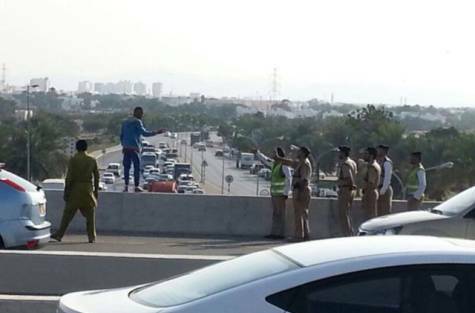 The story has happened on Sunday.A young Omani boy,age 22 was trying to commit a suicide and wanted to jump off al Khoud bridge.The police was persuading him for about 40 minutes and luckily the young man was saved. 1.Young boy recently lost job and spent all his savings to buy 2 mobile phones worth 800 OMR. 2. Many stalkers recorded the (un)successful attempt to jump off the bridge and those stalkers were sharing the videos on whatsupps and FB.